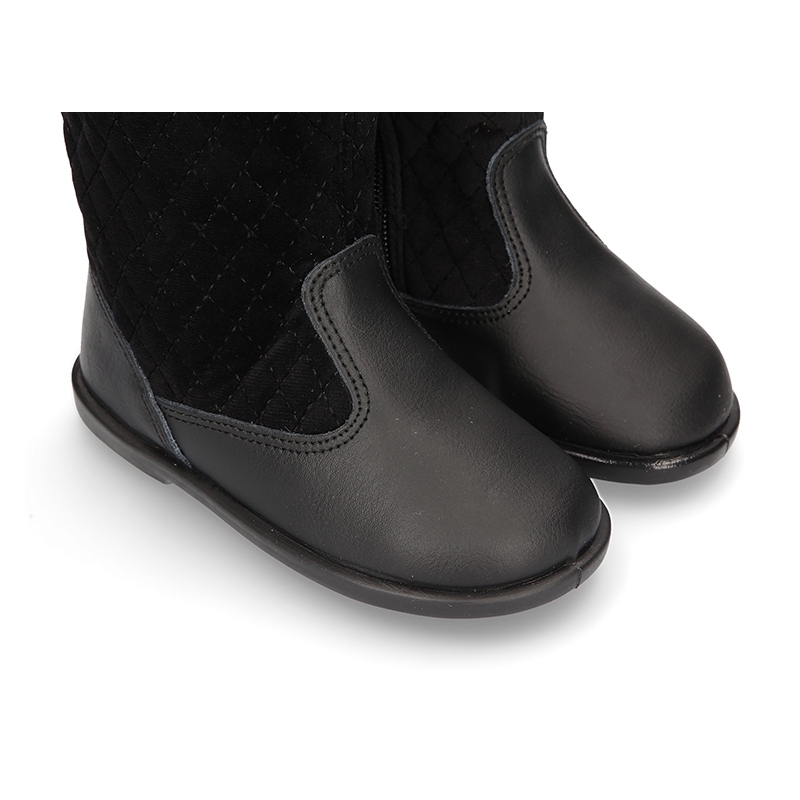 Okaaspain, tienda online de botas de piel y terciopelo acolchada para niñas. 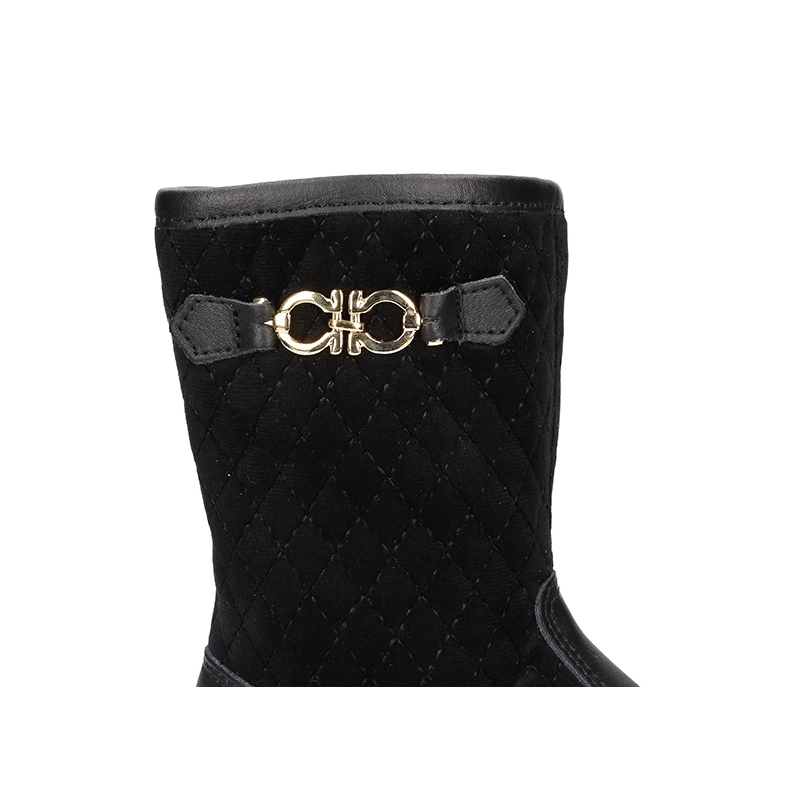 > Toddler girl>Boots and ankle boots>Combined padded boots in leather and velvet canvas in black color. 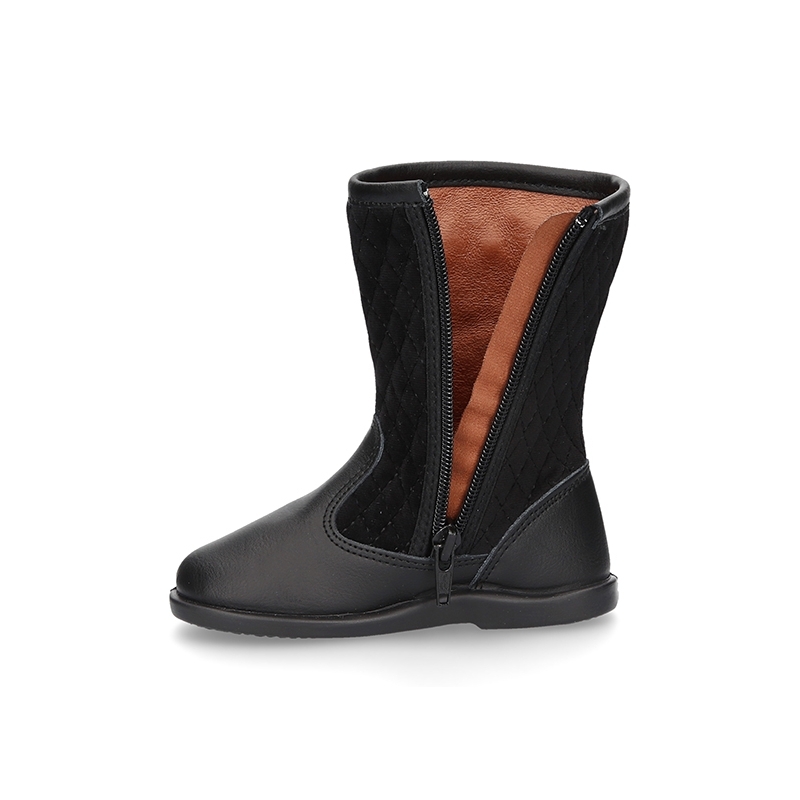 Combined padded boots in leather and velvet canvas in black color. 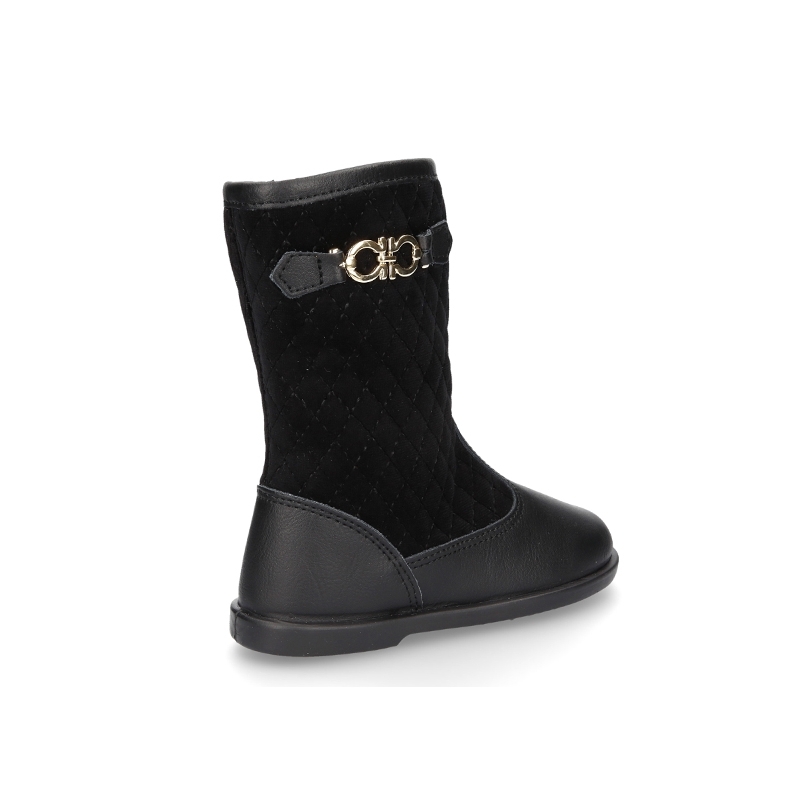 Combined padded boot shoes in leather with velvet canvas and buckle detail for girls in BLACK color. 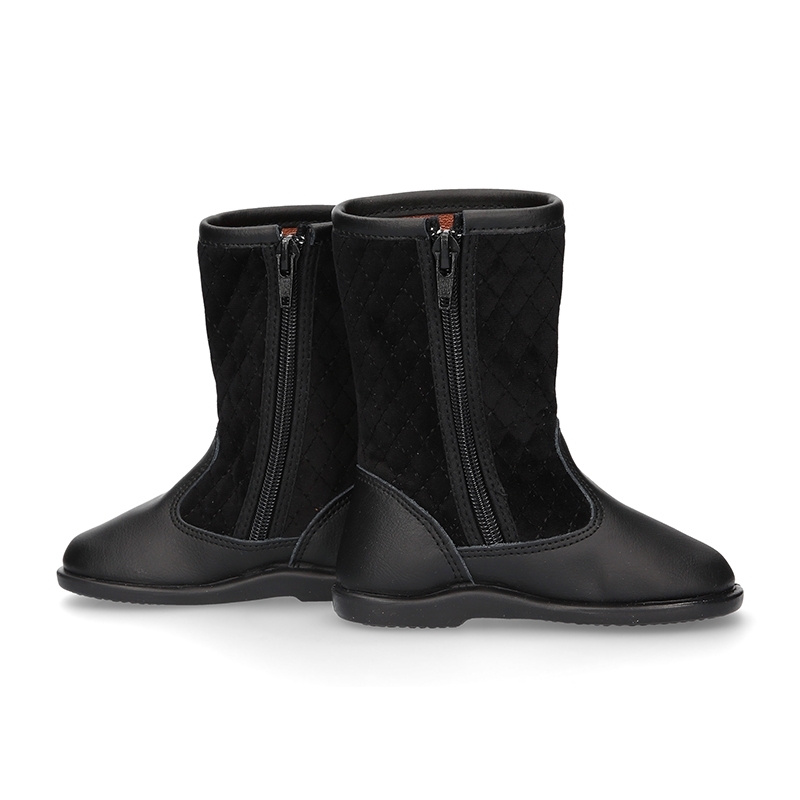 More info about Combined padded boots in leather and velvet canvas in black color. 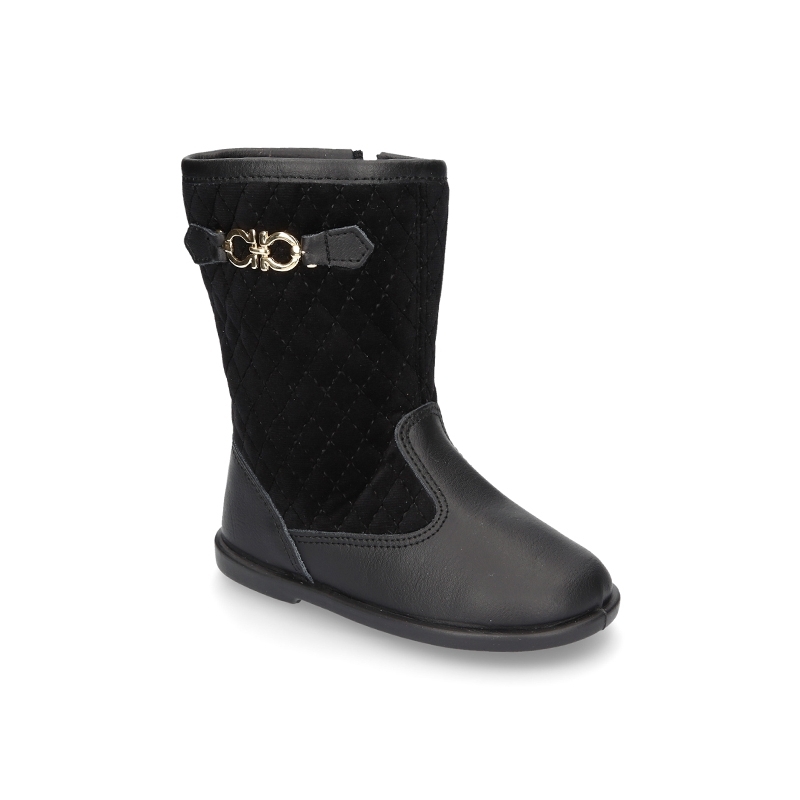 Combined padded boot shoes in leather with velvet canvas and buckle detail for girls. 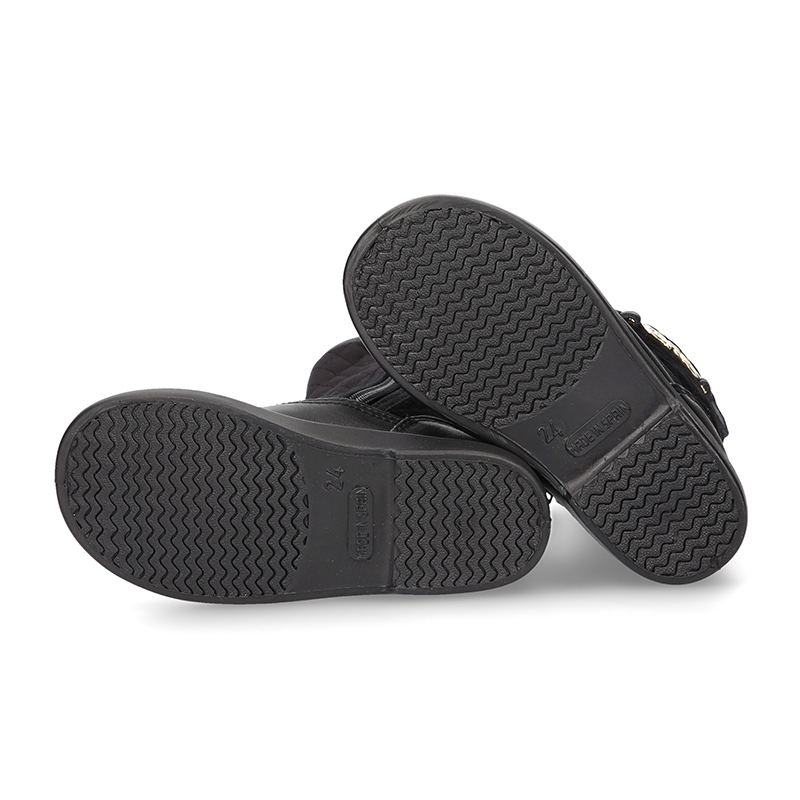 Made up of 100% natural nappa leather and padded velvet canvas in BLACK color with high quality finishes. Perfect to dress with everything this autumn/winter. 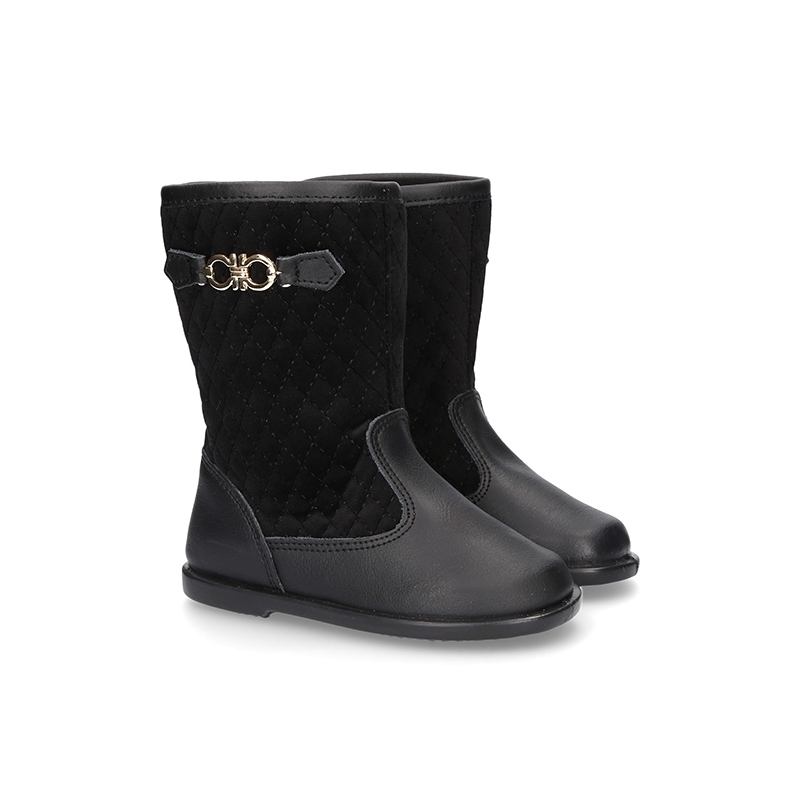 Very confortable and practical to mix and match with all their looks this season. 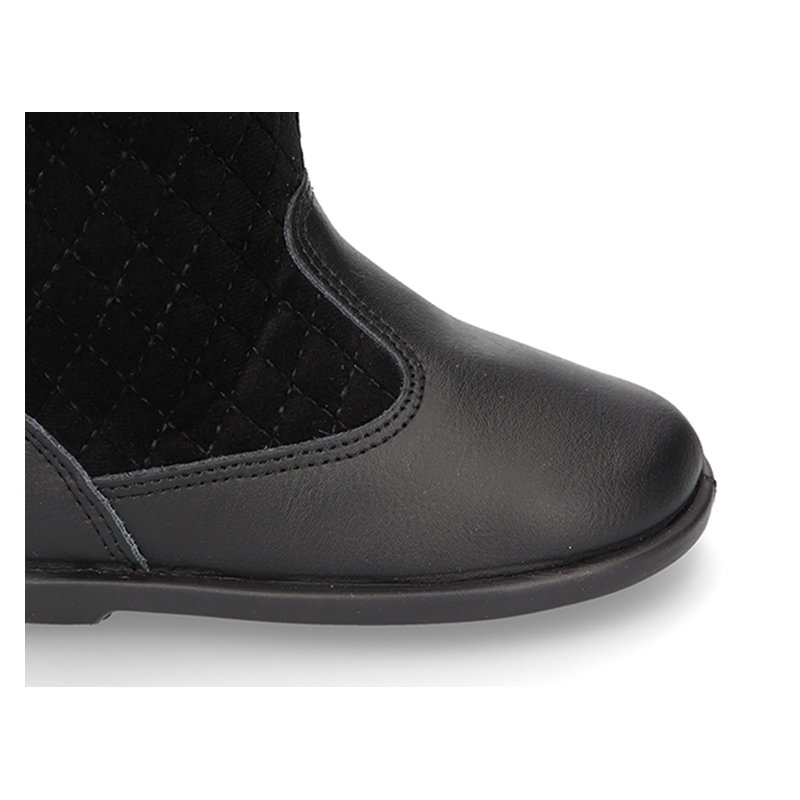 Shoes with padded design are very trendy this autumn winter. 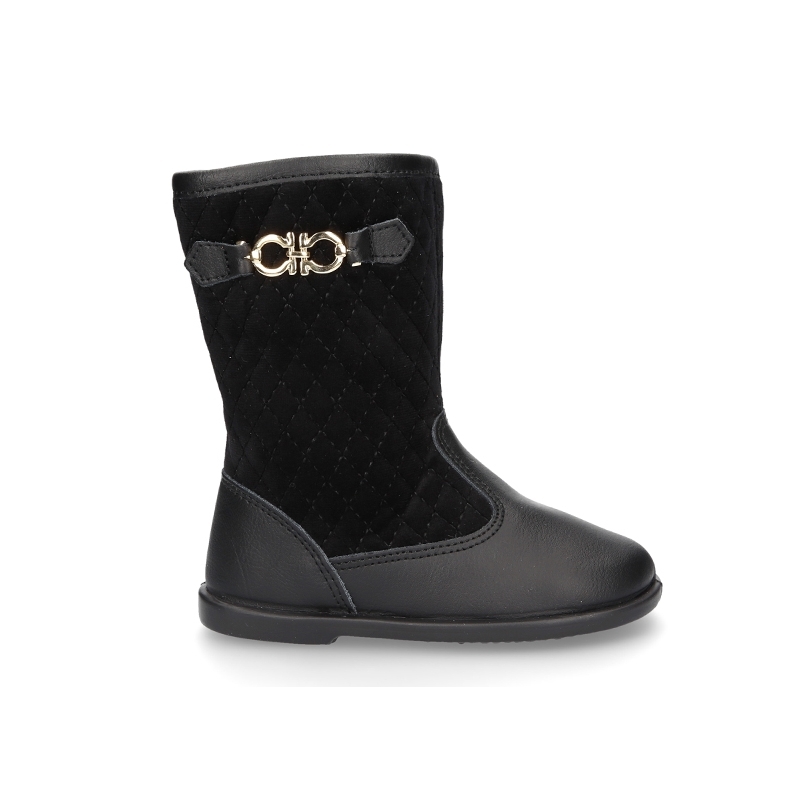 BLACK color itÂ´s the latest this season in all kids collections. 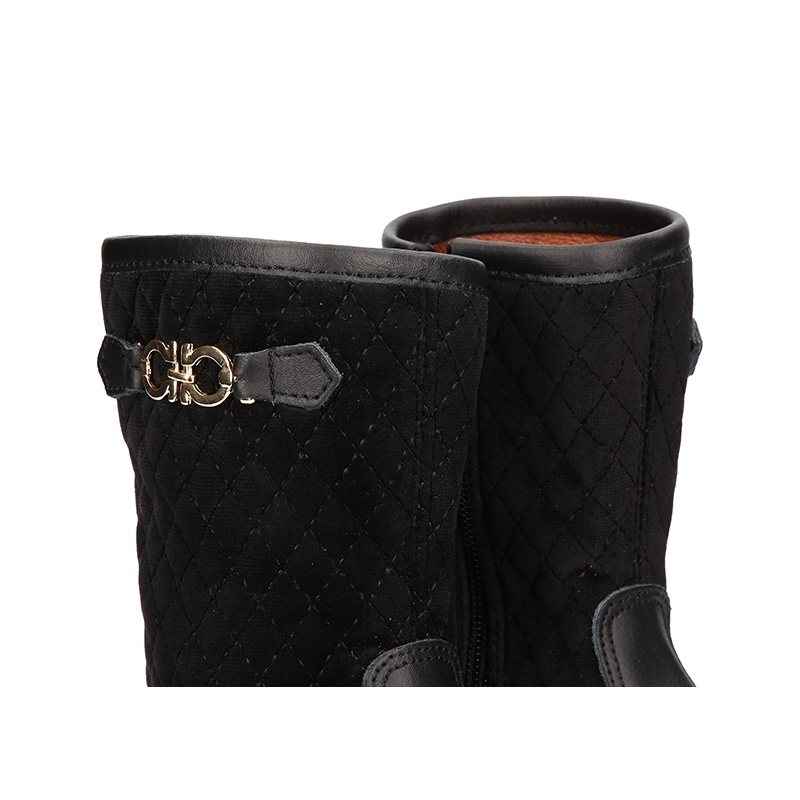 With buckle design to give them a better dress look. Available in 1 color. Range of sizes: from 22 Euro Size to 32 Euro size. SIZING REGULAR. 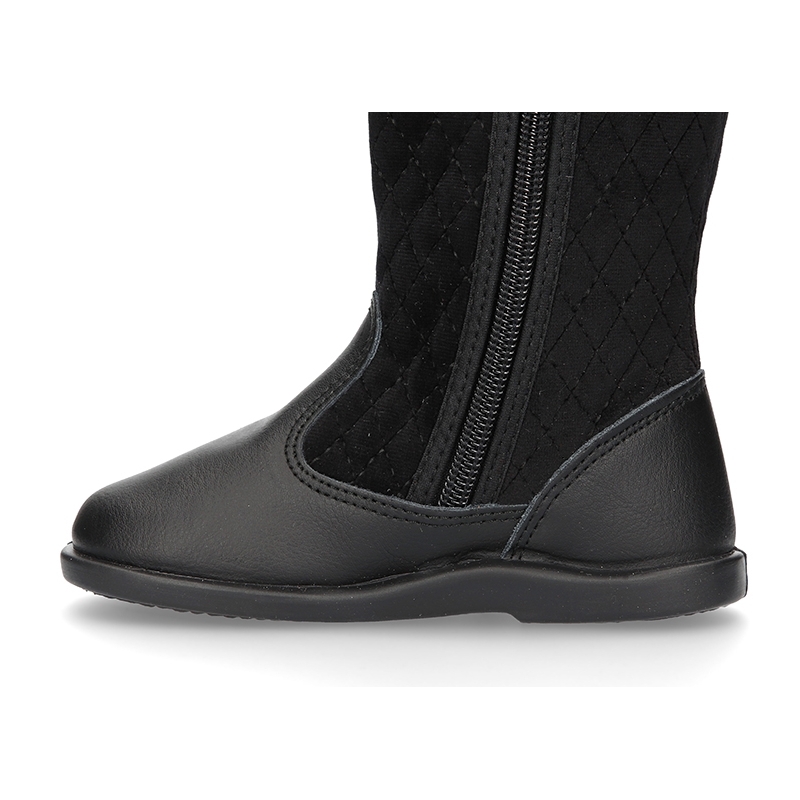 Data sheet about Combined padded boots in leather and velvet canvas in black color.